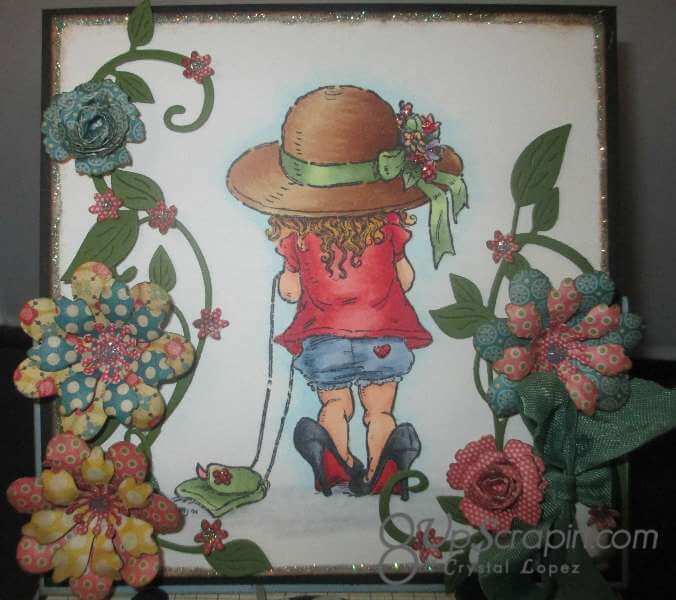 You are here: Home / Scrappy / Challenge #75 Heels and Purses …. 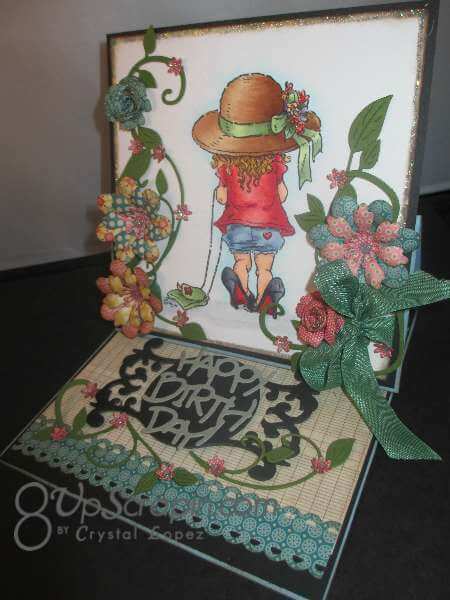 Today’s challenge was to use an image you have ( no sponsor this time ) and the challenge is “Heels and Purses ” so I had the perfect image for this called ” BIG Shoes ” it’s a digi image from Mo Manning and I just love her . 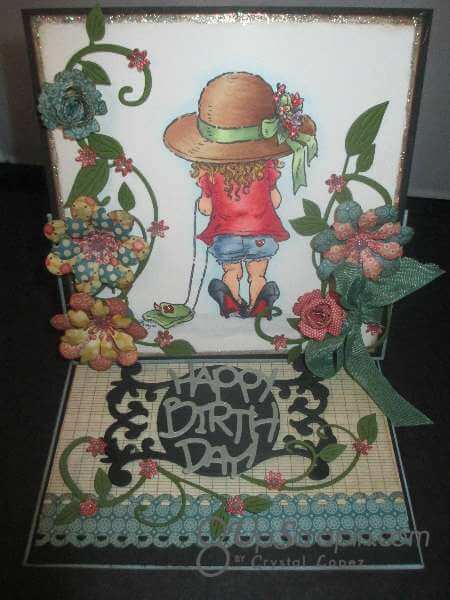 I created and easel card and added flower ( because I love making them ) , inside i cut my frame die 3 times and glued it together to form my stop to hold the easel card open . She is adorable! 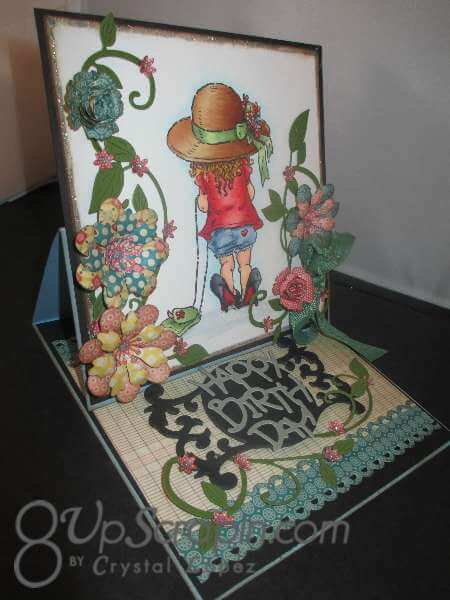 Love the flowers and how you made the stopper for the easel – great idea!